Imagine tasting food for the first time in your life… discovering all those new tastes and textures! It sounds amazing but babies don’t always see it that way. In fact very often, you’ll end up with a plate of pureed carrots spread artistically all over the kitchen table, not to mention the floor, walls, your baby and of course… you! I’m sharing a few of my top tips for weaning your baby. 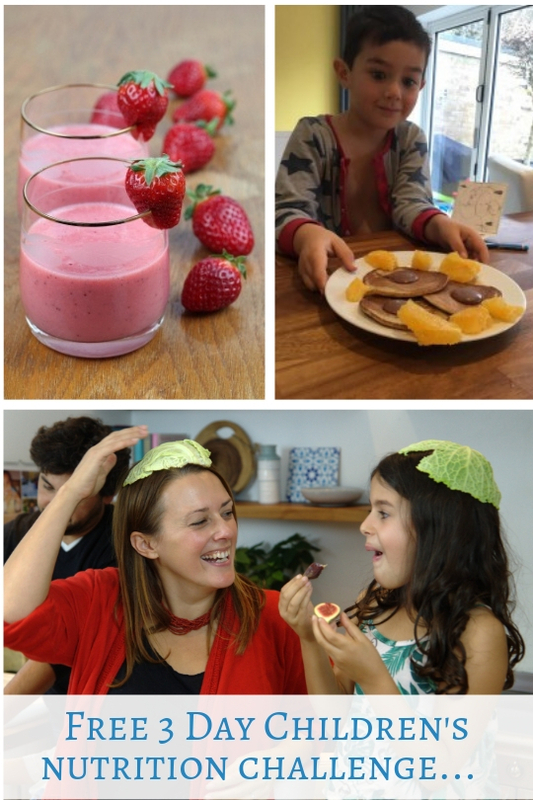 As a Nutritional Therapist and a busy mum of two, I know from experience that when it comes to weaning, things don’t always go to plan… it’s an exciting time, but can also be stressful. • Am I feeding my baby the right foods? • Should I serve my baby fruit or vegetables? • Is it ok for them to have a few treats? 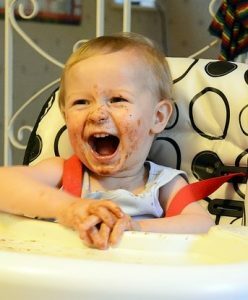 • Should I puree or try baby-led weaning? • Am I giving my baby enough food? • Am I giving my baby too much food? No wonder so many mothers get a little worried about weaning their babies! 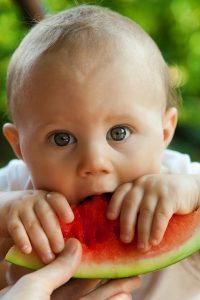 Whether you’re using baby lead weaning, purees or a combination of the two, the most important thing to remember is that your baby is wonderfully, perfectly unique and as such each child adjusts to weaning in their own sweet time. They’ll be learning to taste, chew and swallow different foods… it’s a big deal for a such a little person and it can take time before they actually start to eat much. Don’t worry if they only take a few tiny mouthfuls and then show no further interest. This is one of the most important weaning tips, as it helps to prevent your baby developing a love for all things sweet. Sweet potato and squash are ideal vegetables to start with. The first few weeks are about experimentation with textures and flavours. Your baby will likely play with the food in their mouths but not swallow a great deal, so start by offering just a single teaspoon or handful of food. I tend to prefer introducing a new food every few days, so you can pinpoint a food if your baby has a reaction or tummy upset. When starting out, if your baby does have a reaction, don’t give up on the food, just revisit at a later date. This doesn’t necessarily fit with the baby lead weaning approach, but if you have allergies in the family, it certainly might be worth following a slower approach to introducing foods. Weaning is a brand new experience to your baby’s digestive system and if you think getting food into your baby is a messy process, brace yourself for the results of it coming out! It’s much better for your baby’s body to work with it during the day than in the middle of the night… no-one needs a midnight nappy explosion! Your baby needs a good supply of healthy fats so include some oily fish, coconut oil, avocado and seed oils once they have been on solids for at least a month or two. Whilst at first glance all baby food might seem the same, there is actually a great deal of difference in the texture of different fruits and vegetables. Roughly mashed bananas for example are soft and slightly lumpy whilst a mixture of blended vegetables such as carrot and parsnip is much smoother. Finally, try to enjoy it… it may be messy but just think how amazing it must be for your baby, experiencing all those tastes and textures for the first time! Hope you have a great time at The Norfolk Bump, Baby and Toddler Show this weekend. You can buy your ticket here. Advance tickets are just £3 plus booking fee online or £5 on the door on the day of the show.